The President of the Republic of Liberia, H.E. Dr. George Manneh Weah has conveyed a message of congratulations to the Government and people of the Islamic Republic of Mauritania on the occasion commemorating the 58th Independence Anniversary of that country. In the Message to His Excellency Mohamed Ould Abdel Aziz, President of the Republic of Mauritania, President George Manneh Weah, on behalf of Liberia, extended heartfelt felicitations and best wishes to the Mauritanian leader, and through him, to the Government and people of Mauritania as they celebrate this joyous occasion. According to a Foreign Ministry release, the Liberian leader entertained the hope that as Liberians join their Mauritanian counterparts in celebrating this historic Milestone, the cordial ties of friendship and cooperation subsisting between both countries and peoples will be further strengthened in the spirit of African solidarity. 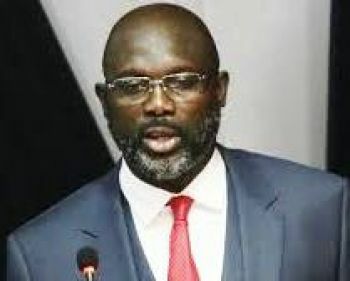 President Weah also looks forward to seeing a continued collaboration between Liberia and Mauritania as both leaders work together in furtherance of the principle of the African Union and the United Nations for the promotion of regional and international peace and security. The Liberian President then prayed that the Almighty Allah will continue to endow President Mohamed Ould Abdel Aziz with abundant wisdom and strength as he leads his compatriots to greater prosperity.